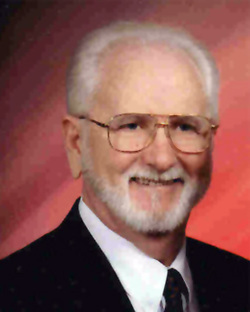 Joe Hogg is a certified Vocational Education Teacher with an Associates of Science Degree in Agriculture and a Bachelor of Arts in Business Education with a minor in Bible. He retired from the United States Air Force with over 20 years of service. His primary job was in the Communications Intelligence field. Upon retirement, he completed his education and worked in the Medical Group Management area for several years. Joe says that like so many in the Lord's churches, he had seen the Missionaries' presentations and never really given them a lot of serious thought. However, that view of missionary work was changed when he and his family moved to Kodiak, Alaska in 1986 to work in the local hospital. They joined a mission congregation and as Joe worked alongside his pastor, he came to understand the money problems missionaries have to deal with. He was also exposed to the importance of supporting missionaries on a personal basis and building a personal relationship with the missionary. Returning to Arkansas in 1992 Joe joined Flatwoods MBC and became involved with Bro. Joe Morell's ministry. As a result, he and his wife have traveled to several countries working directly with missionaries on the field.